A Quebec cabinet minister says his province and Alberta could have a strong trade relationship, despite harsh words being exchanged over Energy East. A politician from Quebec says his province is not the enemy of Alberta. 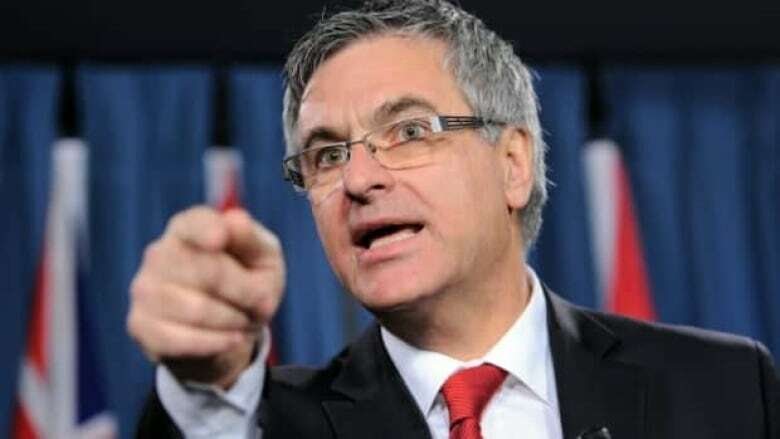 Jean-Marc Fournier, Quebec's minister responsible for Canadian relations, says the two provinces can work together on trade and industrial projects, despite the recent cancellation of the Energy East pipeline. The pipeline would have run from Alberta to New Brunswick, passing through Quebec along the St. Lawrence River, to carry 1.1 million barrels of crude a day. Calgary-based TransCanada killed the $15.7-billion project, a decision hailed by environmentalists and some Quebec politicians. The mayor of Montreal celebrated the cancellation, saying he believed the pipeline would have meant significant environmental threats and minimal economic benefits. Minister Fournier published an open letter earlier this week, addressing the backlash against his municipal colleague. On Thursday, Fournier spoke with Calgary Eyeopenerhost David Gray about the project. Q: You point out in your letter that TransCanada's termination of the Energy East project was not Quebec's fault, and I think most people would agree with that. There were shifting market forces. There were all sorts of things that contributed to that decision. But don't you think all the protests and opposition from Quebec politicians played a role in the National Energy Board's decision to include upstream emissions in their valuation of the project, one of those things that made it more difficult to get this project done? A: Those contestations, manifestations are not coming just from Quebec, and on many subjects, that's part of democracy, you know, to have different positions being expressed. For those who are on some boards to study things, they know that they've got to go to the real question they have to study, not just to perception they may have of position of one or another. That's part of our liberty of speaking, and our saying I'm for or I'm against. But at the end, we cannot say Quebec, all Quebecers, have decided to become adversary of all Albertans. That's not true. The fact is that we are partners, there was a project. They just decided to take it back and we didn't have the time to study it with our principles, our normal principles. Q: Here's the way one politician in Alberta, Brian Jean, who is running for the leader of the United Conservative Party, described the actions of Quebec around the Energy East pipeline. He said, "It is a shameful moment in Canadian history and attack on Alberta and a total failure of the NDP." He threw a dart at the provincial government here at the moment. What's your response to Mr. Jean, taking that kind of a line? A: I don't want to intervene in provincial politics in Alberta but I can say one thing. I think the good thing to do for both Albertans and Quebecers, for the future, starting now, is to engage in a dialogue and not try to define the other group as the enemy. Albertans are not our enemy. We are partners and we should do more things together. For those who want to do that partnership with us and have more, better partnerships together, I think that is with them that we should work. For those who have decided that in their mind, Quebec is an adversary, well, I just hope that at some point they will discover that we are trade partners, we are more than partners. We share a citizenship in this country and we should try to reach out one to the other and create a dialogue and try to be more closer to together. I hope that those that don't think that today will think that tomorrow. Q: Do you feel that the cancellation of the Energy East pipeline, which would have linked together Alberta with the east coast across the country. Some here described it as important as the Trans-Canada Highway. Do you feel this pipeline is a loss to this country? A: You know, the cancellation by the company is a choice that they have made, an aspect of economic structure because of other projects that have been accepted since then, and there's a price. We don't have to answer a question of even if it's not good for the economy, it's not economically founded to do something, that we should do it. It's a private project and those who propose it decide to take it back. What can we say? Our way of building a more better country together is not just by making a pipeline. It's reaching out to the others and look at what our opportunities are in the future to be partners.